We know it's hard to find a trustworthy academic helper when you need one, and that is why we've gathered them here. Our vetted experts will help you handle any task on tight schedule. Struggling with a complicated essay topic? Our experts can help you compose a high-quality essay on any topic across all subjects. Rest assured that you'll receive a perfectly formatted paper based on your guidelines. Can't find credible sources for your research? Hand the job off to professional helpers who will craft a perfect research paper on your topic. No plagiarism, peer-reviewed sources, and original insights guaranteed. Your doctoral project is in safe hands. We can help you submit well-researched, perfectly edited and formatted dissertations on any topic. Just indicate the subject and desired deadline, and our experts will do all the rest. Need a thesis based on original research? Our experts will help you craft the whole thesis or any chapter of it. We guarantee that you will submit a 100% unique thesis by your deadline, even if it is already looming. See why dozens of students worldwide delegate their tasks to our experts. We are a team of 1,200 well-trained helpers across multiple academic disciplines. Since 2009, we’ve helped 100K students from across the globe make their papers impressive. From simple advice to advanced academic solutions, we assist customers with enhancing their sentence structure, fixing spellings, grammar, and punctuation mistakes as well as improving the overall tone of their manuscripts. We guarantee flawless content based on relevant sources. We can help you handle your urgent task in under 3 hours. Our experts are screened and have 7+ years of experience. We leave no errors behind. We are thorough at what we do. We won’t share the information about your request with third parties. We work with trusted providers of online transactions: Visa, PayPal. 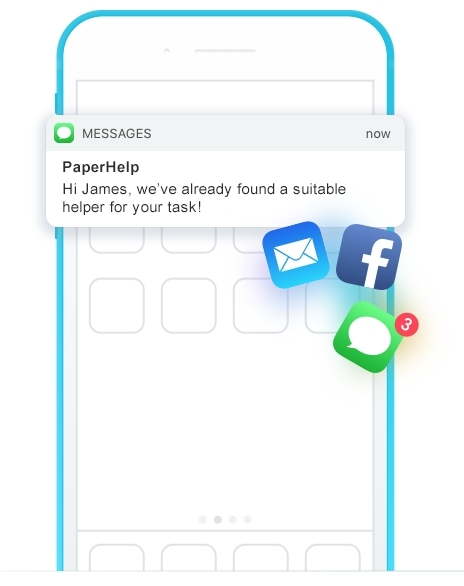 Welcome to PaperHelp, the community of highly-qualified, experienced helpers across 40 disciplines ready to lend you a hand with any of your academic projects. Need urgent assistance with a tricky assignment? Forget about lengthy order forms! We are here around the clock to pair you up with a subject matter expert ready to give comprehensive solutions to your academic challenges. All you need to do to hire one of our helpers is simply get in touch with us via Facebook, WhatsApp or email. It’s that easy! Mind that our friendly Customer Support Team is also reachable 24/7. So feel free to contact them with all your service-related requests whenever you want. 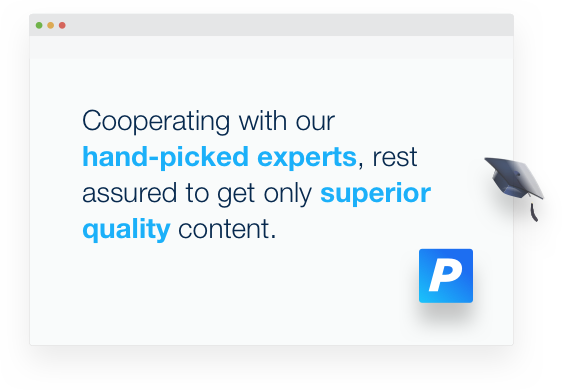 Cooperating with our hand-picked experts, rest assured to get only superior quality content. Our pros craft all papers from scratch and use only credible sources. We guarantee original insights as well as proper formatting and structure. We use the latest plagiarism detection software (e.g., Copyscape, Turnitin) to make sure that every customer’s manuscript is 100% authentic. Our clients enjoy up to 4 weeks of unlimited amendments. So if you feel that your content needs improvement, contact us and we’ll revise it for free. In case you are unhappy with the services provided by the assigned helper, just let us know, and we will find you another expert or make a refund. To get matched with a pro in your discipline, simply follow the 4 easy steps below. Tell us what assignment you need help with and specify your deadline. Log in to your Client Area and watch your helper work on your order. Submit a top-notch copy on time and achieve your academic goals. Once I started looking for a job, I didn’t consider working as a consultant, but I just took a shot and here I am! I love everything about American History. And that’s why I enjoy helping students. I’ve been one of the top students at the University of Michigan, and I know how the perfect paper looks like. After I graduated from the University of Chicago, I started my career in an IT company. At first, it was awesome, but then I realized that I wanted to do something more creative. So I got on board with making papers for students. It’s interesting to solve tasks by describing the processes I’m aware of. Keep track of the recently fulfilled orders in real time. Check out some of the latest testimonials we have received from our customers.